Home Inventory makes keeping an up-to-date catalog of your possessions simple and fast so you can stay organized and always prepared. Called "Quick and easy to use" by the New York Times and "Spectacularly user-friendly" by Mac Format. 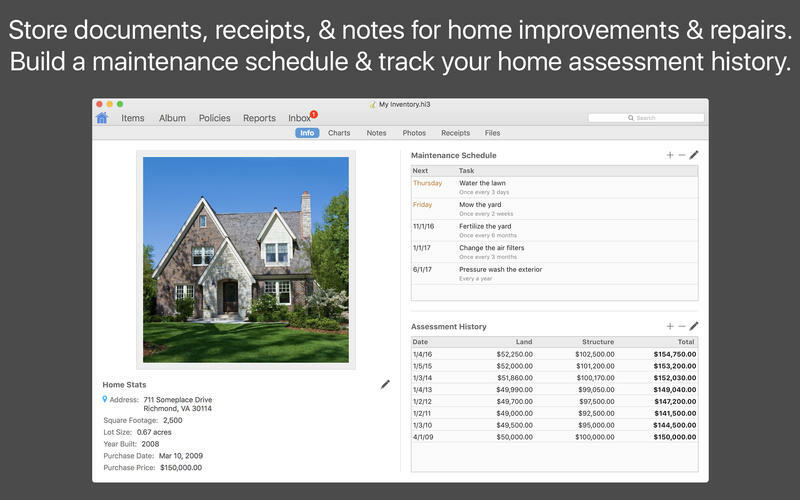 Document and organize everything that's important to you with ease, speed, and accuracy using Home Inventory. Build a complete catalog of your valuables and store important details about your items such as make, model, serial number, purchase price, value, and much more. Get rid of the clutter. 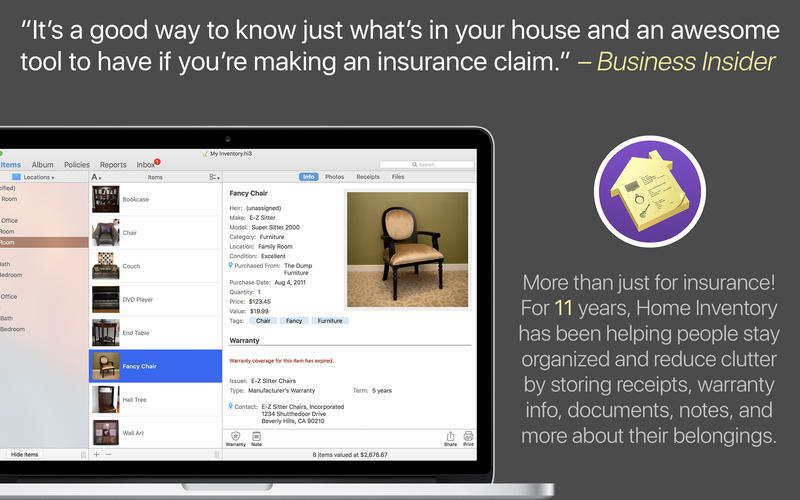 Stay organized and store unlimited photos, receipts, product manuals, warranties, and dated notes all in one place. 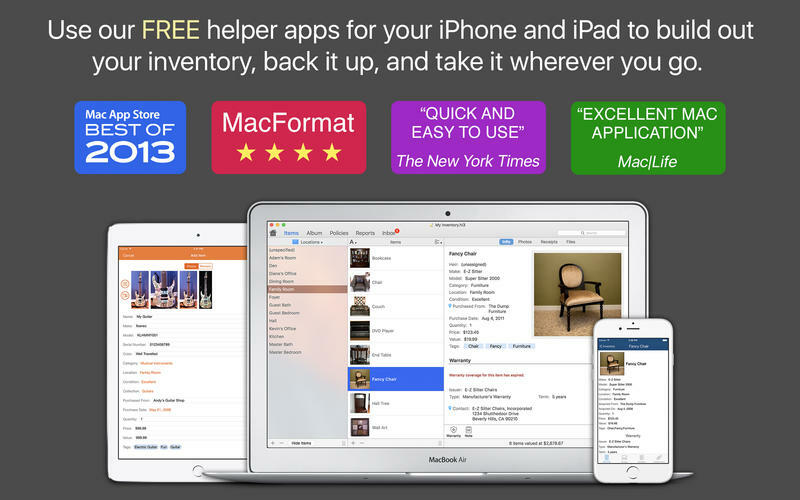 If you have an iPhone or camera enabled iPad or iPod Touch, you can use the free helper app, Home Inventory Photo Remote, to wander your home and build out your inventory. The app includes a built-in barcode scanner to quickly add books, CDs, DVDs and other items with barcodes to your inventory. Stay on top of your home's upkeep with a maintenance schedule of routine tasks such as cleaning the gutters and aerating the lawn. If you are running OS X 10.8 Mountain Lion or later, you can add tasks to Calendar and Reminders. Find out if you are adequately insured. With our built-in coverage analysis report you will know if you are over-insured, under-insured, or if your coverage is just right.